Campaign 11 is here! Guess what? Avon Anew Vitamin C Brightening Serum is BACK! It is difficult to stabilize Vitamin C for products such as this. Avon has a patented technology that keeps the Vitamin C Pure and Potent. Within just 2 weeks skin will look brighter, smoother, clearer and more toned. Vitamin C is a treatment, use it the morning and in the evening before your moisturizer. Intro Special is $19.99. Avon Anew Vitamin C Brightening Serum will be $30.00 regularly priced. Vitamin C Brightening Serum is a patented formula that contains a high concentration of 10% pure Vitamin C, which protects skin from sun, pollution and other aggressors. 1 fl. oz. Use AM and PM after cleansing as your treatment before moisturizing. Gently smooth over cleansed skin in an upward and outward motion, avoiding the eye area. Do you love Anew? Then now is the time to BUY! Buy 2 that is! Pay regular price for 1 and the 2nd is just $5. You could save up to $33 depending on your regimen. This offer is for all day and night creams. Eye creams are also on sale as well as some of our most awesome treatments. Check it out NOW! Never run out of your favorite ANEW Skin Care Products! 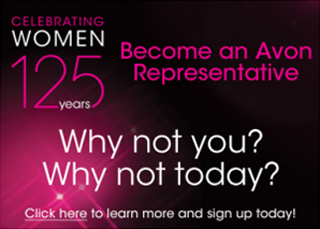 Save up to 50% on the products you love with Avon Auto-Replenish. Buy Avon Online C11 2016 – The NEW Avon Living Catalog is here. This catalog has home ideas for summer picnics and parties. And, last but not least, Skin So Soft Original Spray is on sale. Reg $7.50, Now on sale for $3.99. Prices are good as of the campaign posted. Avon will honor these prices for two additional campaigns as long as you order from my eStore. You can “backorder” for two additional campaigns by selecting the campaign number link in the “Backorder Avon” menu at the top of this page. Buy Avon Online C11 2016 – Don’t forget to Sign Up for a free account and receive our Newsletters and promotions. Get advance notice of Avon exclusive sales and FREE SHIPPING offers delivered straight to your inbox.